Photo: Singer-songwriters Keith Greeninger and Dayan Kai sing at the Mono Lake Chautauqua picnic. 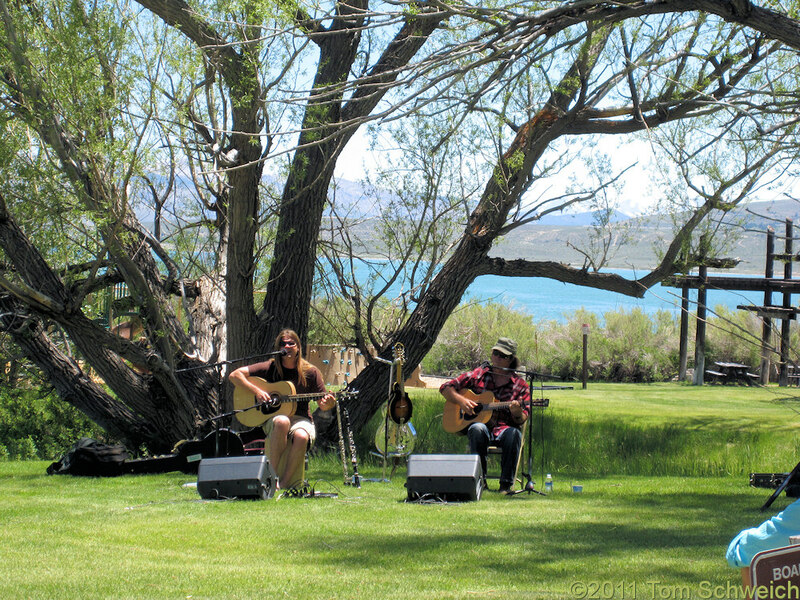 Eastern Mojave Vegetation Singer-songwriters Keith Greeninger and Dayan Kai sing at the Mono Lake Chautauqua picnic. Photograph taken 19 June 2011. Field Notes: at the picnic. A Checklist Flora of the Mono Lake Basin, Mono County, California and Mineral County, Nevada. : at County Park. Other photos about Geography - Mono Lake Basin, California or Mono Lake County Park.